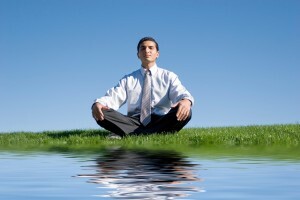 Meditation is the oldest personal development technique in the world. It has way more than five benefits – this could easily have been a list of 100 meditation benefits. But these are five of the keys to a happier, more fulfilling life, so rather than burden you more reading, let’s just start with these. After all, reading about the benefits will not make them part of your life. Meditation practice will, so let’s use the time for that, so that you can experience the remarkable effects of this wonderful practice first hand. Research: Hundreds of studies have demonstrated how meditation reduces stress. I’ve picked just one in case you need to convince your friends that you haven’t lost your last marble. Apple CEO Tim Cook says Apple is the most focused company he’s ever come across, and they seem to be doing ok, so maybe he’s onto something. Focus is the big secret of success that every professional coach talks about and every creative leader struggles with. Imagine if it became your default mind-set. Think of the mental energy you’d save if you could concentrate better, resist distraction easily and home in on what matters, every day. You’d finally start harnessing the power of your mind, and that’s big! “Nothing is more powerful than an idea whose time has come.” Victor Hugo’s famous statement is as true today as ever. As imagination feeds innovation, new ideas are the life-blood of modern business. Some companies, like Disney, set aside rooms for dreaming up new ideas. With meditation can just walk into that room inside your own head. And when you connect directly to your inner source of ideas you come up with solutions that would never have occurred to you before. And that one right idea can make all the difference. Research: Stanfords ccare research project has demonstrated how compassion based meditation helps to regulate emotion and support clarity of mind. When the mind is unclouded by emotion we can view ourselves and the world from a different perspective. This gives rise to a clearer kind of thinking, less affected by our ego-centric bias. In fact it feels like more than just clear thinking – it can lead to a more direct kind of knowing. With this broader point of view confusion dissipates, priorities fall into place and clear decisions arise out of a harmonious blend of reason and intuition. People usually know if you care about them. And if people care about one another the whole working relationship changes. Compassion creates a solid foundation for teams where people listen to and understand one another. Work becomes the fulfillment of a shared vision, rather than a chore performed in exchange for a paycheck. Want to transform your workplace so that everyone looks forward to Mondays? Try love. It’s like magic.